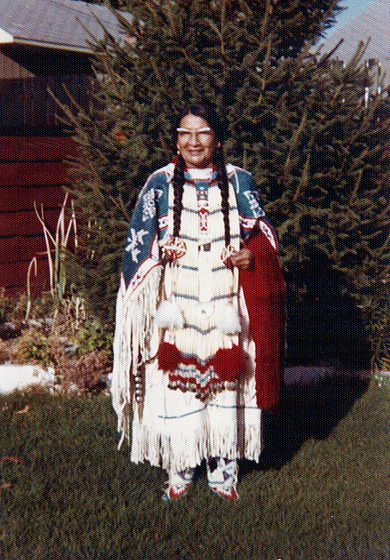 Nellie Star Boy Menard was born on the Rosebud Reservation of South Dakota. 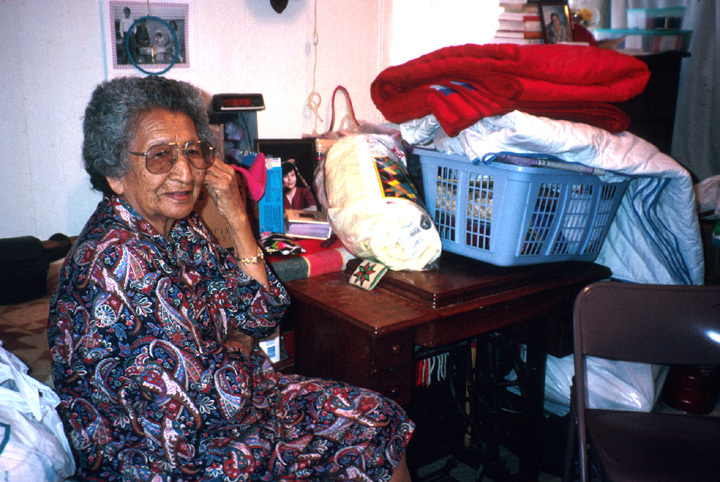 While still a teenager studying at Flandreau Indian School, she was awarded a Pendleton robe for the blanket design that she had submitted to Pendleton Woolen Mills in Pendleton, Oregon. After graduating in 1929, she was invited back to the school as a teacher of Indian arts. 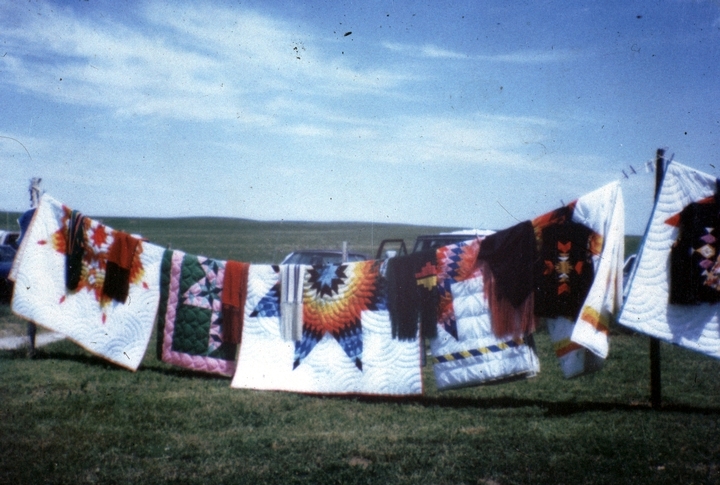 Although Menard was never officially credited, she is widely known as the collector of most of the Sioux designs in the historic 1935 book Quill and Beadwork of the Western Sioux by Carrie Lyford. In 1937, Menard started the Arts and Crafts Shop in Rosebud out of a concern for the vitality of Lakota arts and for the economic well-being of Lakota artists. In 1941, she was one of four Indian representatives selected from across the nation as delegates to the Museum of Modern Art and the Museum of the American Indian in New York City. 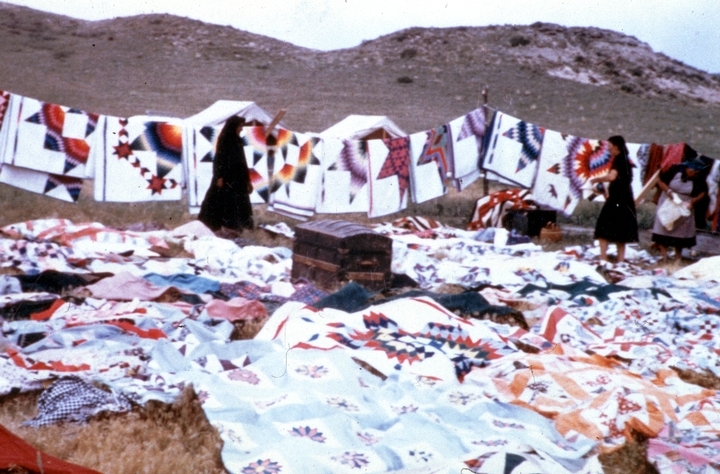 Menard operated the Arts and Crafts Shop in Rosebud until 1942, when she moved to Browning, Montana, to manage Northern Plains Arts and Crafts. 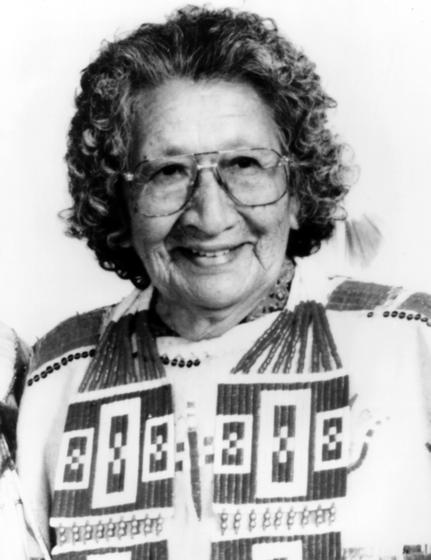 After World War II, she returned to South Dakota, where she was employed by the federal Bureau of Indian Affairs in Rapid City. She kept this position for the next thirty years and attracted considerable attention for her mastery in quiltmaking. 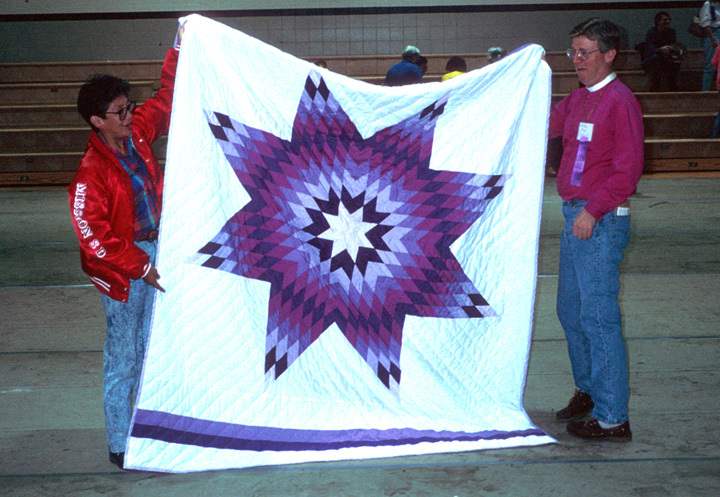 Quiltmaking may be both the most widespread and the least known of Native American traditional arts. 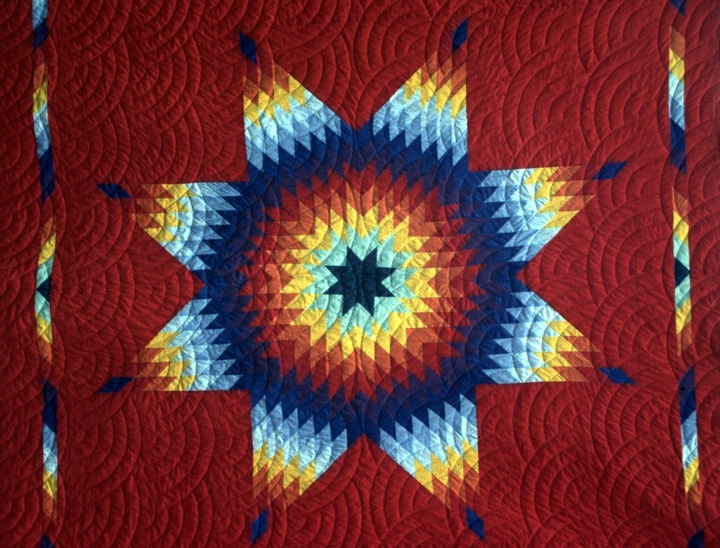 Although the full details of when and how Native Americans took up this European domestic art form are not known, it is clear that by the mid-nineteenth century quilting was fairly widespread among a number of Indian tribes. 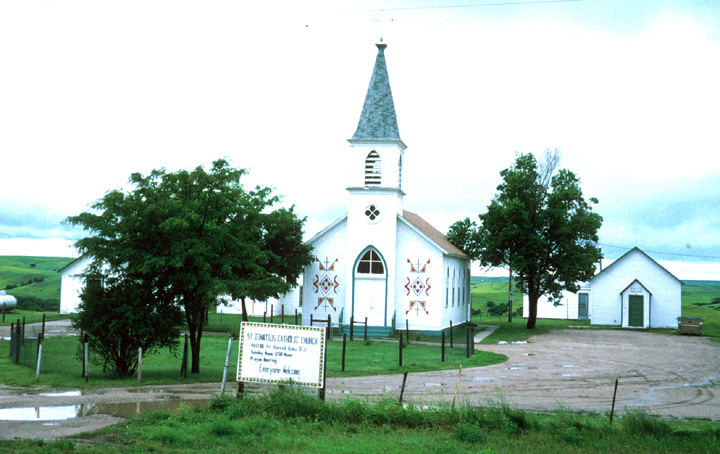 Churches and church schools of various Christian denominations, government Home Extension Service agents, the wives of resident Indian Service agents and crafts training for economic development were undoubtedly important vehicles for introducing Anglo-American needlework skills to Native women. 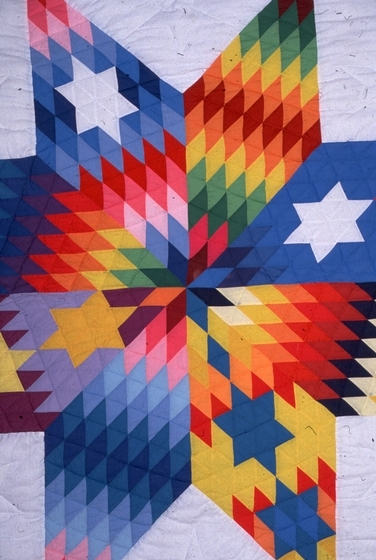 Over time, a variety of distinctive styles of quiltmaking emerged, each reflecting tribal, regional or local preferences for design, color and social functions. 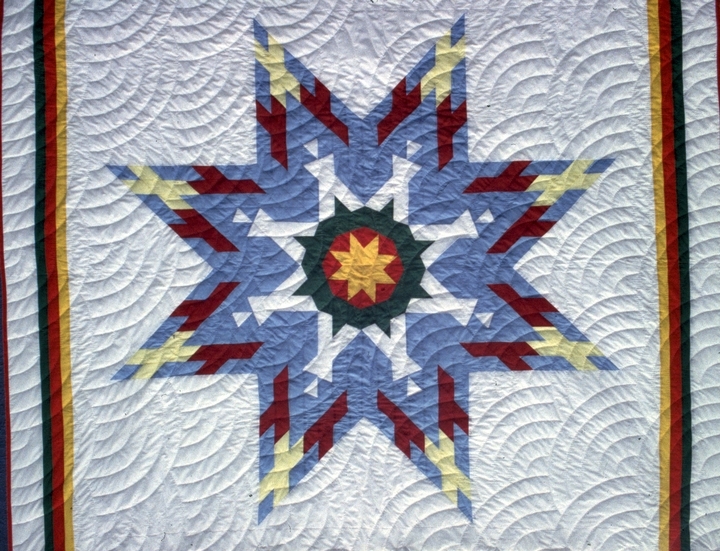 One of the most celebrated of these styles is that of the Sioux of the Northern Plains, distinguished by the prominent use of the star pattern as its basic motif. 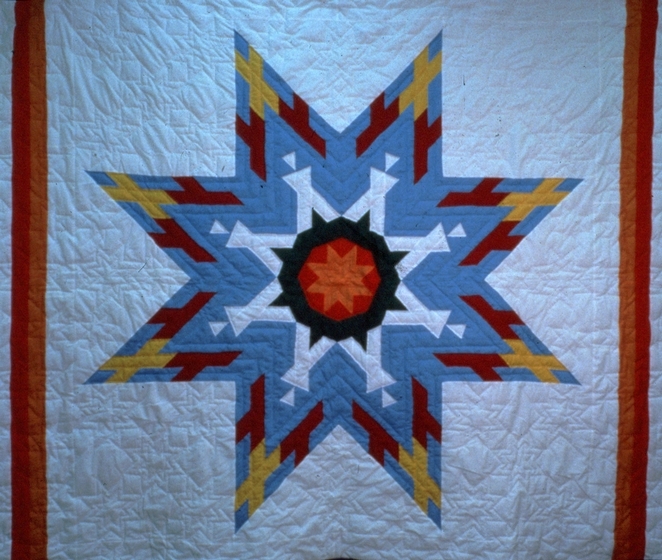 In Sioux culture, an accomplished traditional quiltmaker is measured not only by a mastery of needlework techniques, of the creative use of the star motif and of traditional aesthetic principles, but also by her dedication to the community in the practice of her art. 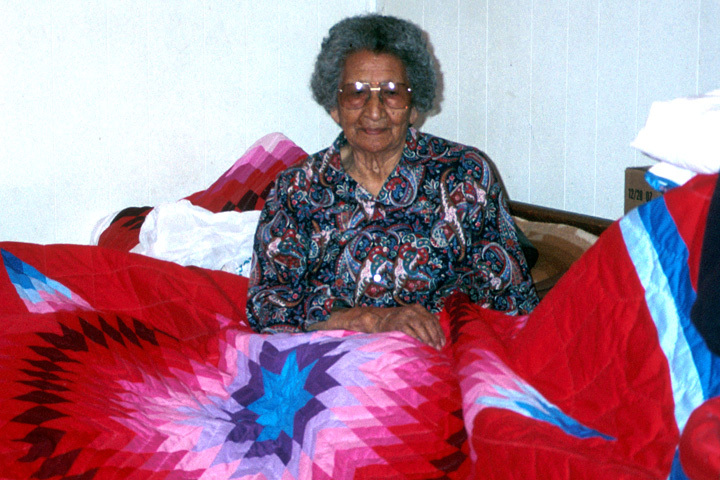 Over her lifetime, Menard produced scores of quilts for such traditional family and community purposes as fundraisers for local organizations; gifts for weddings, baptisms, graduations, and funerals; and for honoring and naming ceremonies. 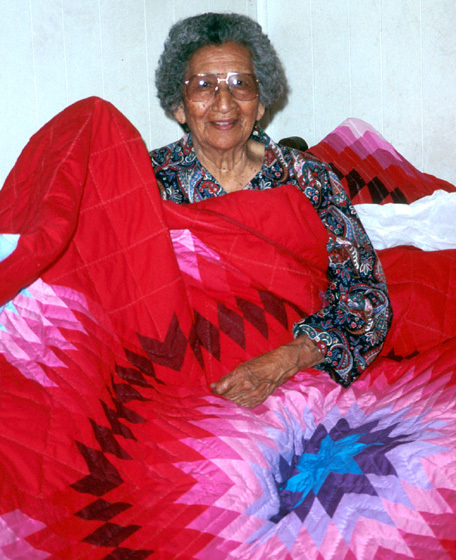 Her other artistic skills included featherwork, tanning, quillwork, beading, crochet and the making of handwoven shawls. In addition, she worked as a manager of craft sales and as a curator, with the responsibility of purchasing items from other craftspeople for resale and for selecting objects for museum display. In this capacity, she was highly regarded, demonstrating a deep knowledge of Native American values and traditional artistic standards. MacDowell, Marsha. 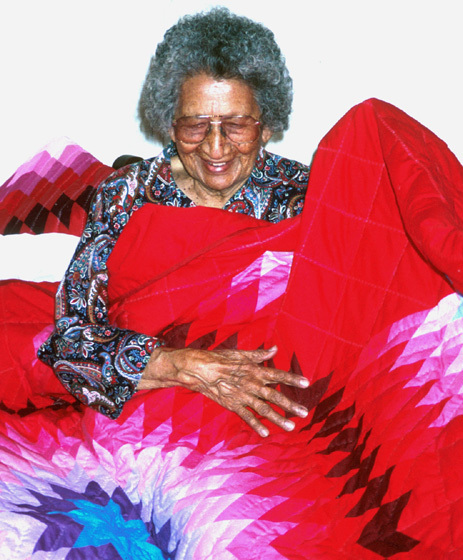 To Honor and Comfort: Native American Quilting Traditions. Santa Fe: Museum of New Mexico Press, 1997.